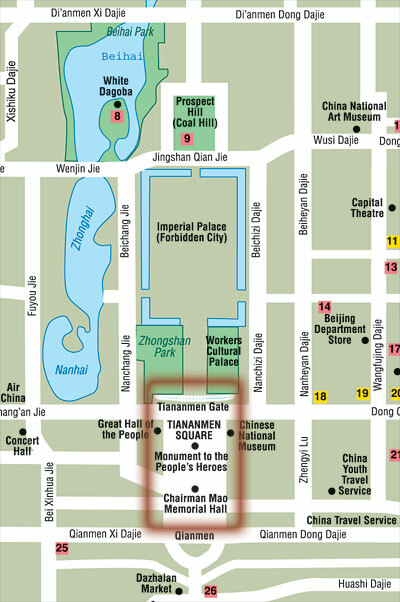 The incident took place near Tiananmen on Chang’an Avenue, which runs east-west along the south end of the Forbidden City in Beijing, on June 5, 1989, one day after the Chinese government’s violent crackdown on the Tiananmen protests. 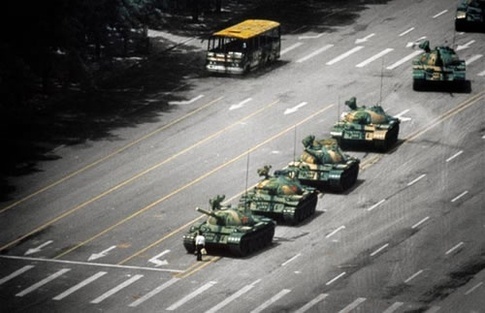 The man placed himself alone in the middle of the street as the tanks approached, directly in the path of the armored vehicles. He held two shopping bags, one in each hand. 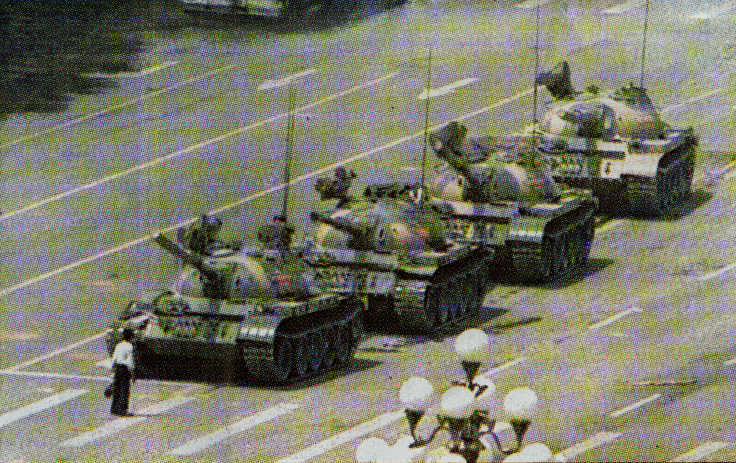 As the tanks came to a stop, the man gestured towards the tanks with his bags. 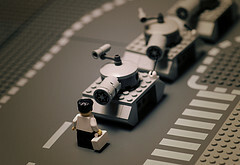 In response, the lead tank attempted to drive around the man, but the man repeatedly stepped into the path of the tank in a show of nonviolent action. 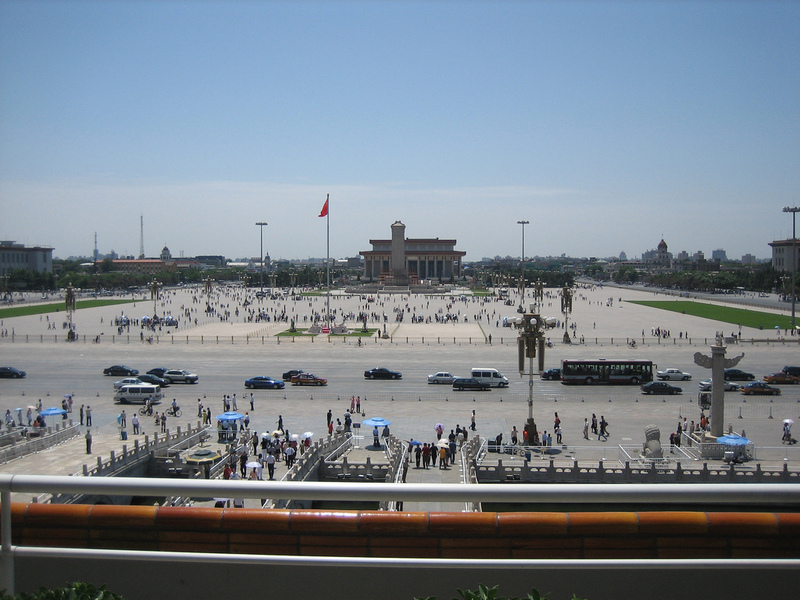 After repeatedly attempting to go around rather than crush the man, the lead tank stopped its engines, and the armored vehicles behind it seemed to follow suit. 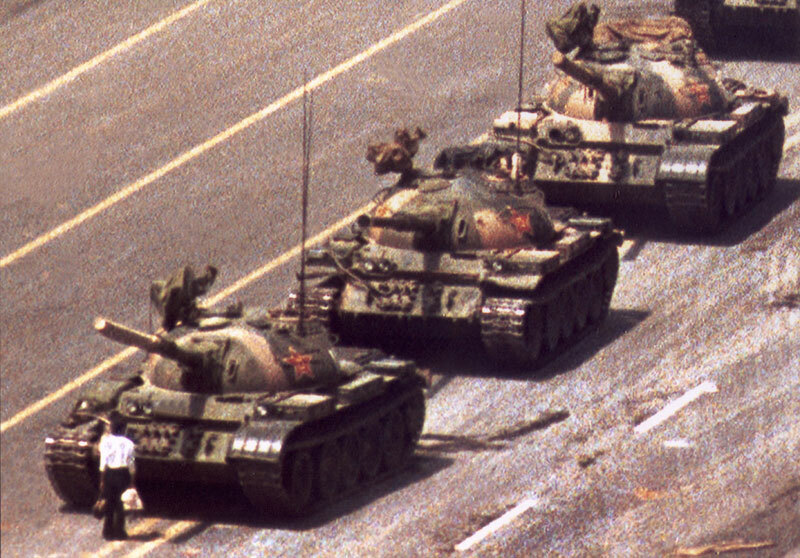 There was a pause for a short period of time with the man and the tanks having reached a quiet, still impasse. Having successfully brought the column to a halt, the man climbed onto the hull of the buttoned-up lead tank and, after briefly stopping at the driver’s hatch, appeared in video footage of the incident to call into various ports in the tank’s turret. He then climbed atop the turret and seemed to have a short conversation with a crew member at the gunner’s hatch. After ending the conversation, the man alighted from the tank. The tank commander briefly emerged from his hatch, and the tanks restarted their engines, ready to continue on. At that point, the man, who was still standing within a meter or two from the side of the lead tank, leapt in front of the vehicle once again and quickly reestablished the man–tank standoff. 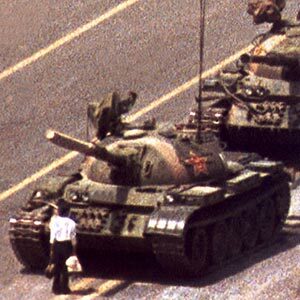 Video footage shows that two figures in blue attire then pulled the man away and disappeared with him into a nearby crowd; the tanks continued on their way. Eyewitnesses disagree about the identity of the people who pulled him aside. Jan Wong is convinced the group were concerned citizens helping him away. showing his hesitation...I think the full video shows a man angry in a momentary rage, not sure of how far to push things..what do you think? YouTube also features a documentary on this moment, check out the playlist. 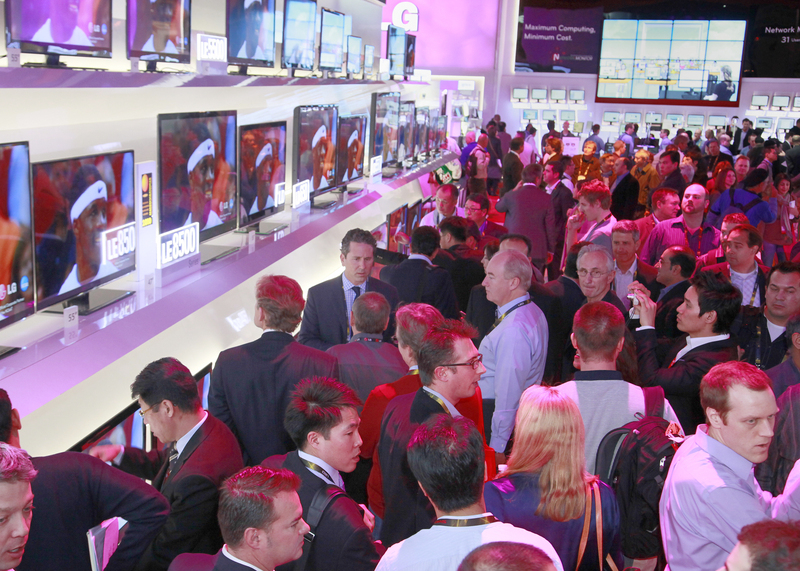 CES 2011 is approaching and the DC Tech community is representing. A quick round-up shows at least 10 of us going. Here is the robot’s guide to the best keynotes, sessions, parties, awards, showdowns, and private events. Let me know if I missed anything! Campaigns that Connect: What Drives Engagement, Traffic, and Goodwill? Finally, there is a CES iphone app for the conference and if you want to catch some quiet time join Amy and I in the press or blogger lounge.